For over 10 years, Academy Principal, Christian Bullen has developed a fun and exciting approach to teaching, which leads to many people reaching their goals and returning to learn more and more. Christian believes that Superstars in the Making® is for everyone. Whether you wish to pursue a career in the performance industry, or gain invaluable skills that can be transferred to hundreds of other careers, a training with us will provide you with the best foundation for your future! Classes start from age 3 to adult! We pride ourselves on providing the highest quality training with a first class team of professionals. Every student is given the chance to stand out and discover their potential. All of our teaching methods are current and build solid technique. Students are regularly given the chance to perform and put their new skills to the test. Our courses are specially designed to train young people effectively in a fun and engaging way. Our students gain the necessary skills to stand out from the crowd in all areas of life by building confidence and proper technique. 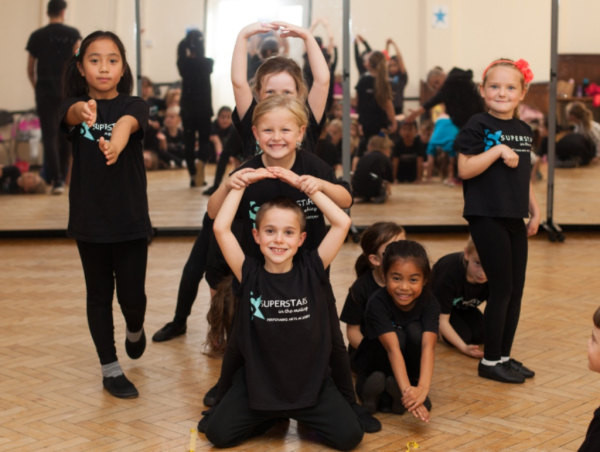 Our Junior courses for age 3 - 13 are aimed at every child who wishes to have fun, build performance skills and develop into a confident young adult. Our training for ages for age 14 - 25 is specifically developed for talented young people who may wish to work professionally in the performance industry. Read more about our courses here.